M&S 010: How Sweet It Is! 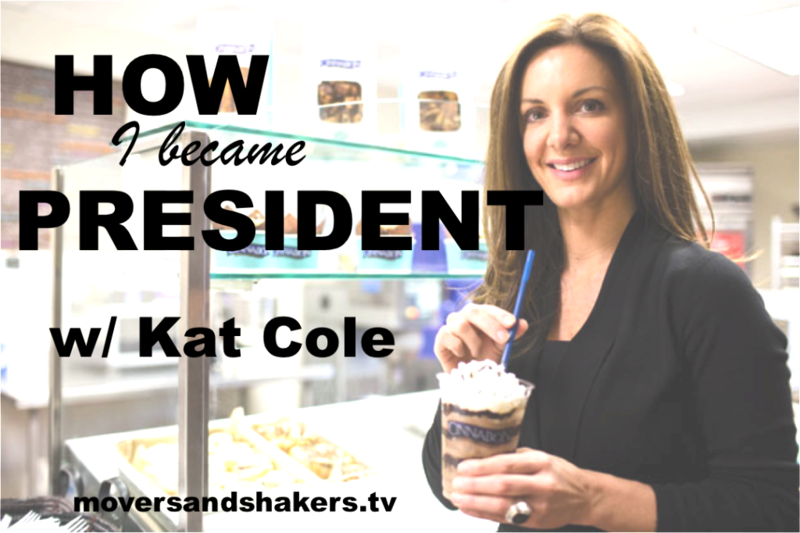 Kat Cole on How She Dropped Of College, Traveled the World & Became CEO of Cinnabon by Age 35. Welcome to Episode 10 of the Movers&Shakers Podcast. This episode is important to me because at the beginning of the year I decided that my “Money Mantra” for 2014 was going to be LAUNCH. So, I’m very proud to be able to bring the 10th Episode to you today. I hope you’ve made you mind up to do something special this year as well. We’ve had the opportunity to chat with and learn from a number of successful entrepreneurs in the first 10 episodes, but I know that some of you Movers & Shakers out there are looking to excel in the corporate arena. In this episode I’d like you to meet someone who has done just that, the Kat Cole, CEO of the irresistible billion dollar brand Cinnabon. Kat has an amazing story. As a teenager she started working as a Hostess at Hooters in her home state of Florida. Because of her hard work and trustworthy nature she was asked to help open new Hooters restaurants in Australia and Latin America. Her skill at launching the brand in foreign markets eventually helped her become vice president at the company. When you prove your success, soon others will come calling, and she is leading the globally recognized brand (and scent….) Cinnabon. But it wasn’t always this way. Kat had to overcome difficulties in her family life as a kid and made the tough decision to drop out of college before climbing the ladder at Hooters. Know yourself and how you are perceived by others. Only then can you emphasize your strengths and minimize your weaknesses. Give, Give, Give. Until it Hurts. Nothing is more important in building your life and your business than your relationships. Deliver Results. Don’t look so far into the future that you miss the opportunity to be the best in your position TODAY. Love Drop is AWESOME @J! WOW! One of the realest people you’ll meet (And hella smart too, as you’re well aware).